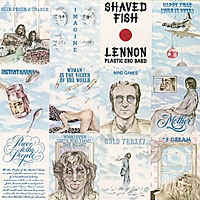 "Shaved Fish" was the only compilation album of John Lennon songs released during his lifetime. It consisted entirely of previously released singles or album tracks. After the album was released on Oct. 24, 1975 (US & UK), John would not release another album until five years later. More I cannot say, what more can I say?